The UK – alongside Germany, France, Italy and Spain – have been issued a final warning by the European Commission for failing to address breaches of air pollution limits for nitrogen oxide. EU Member States have been repeatedly asked to implement air quality plans to safeguard public health, but the requests have fallen on deaf ears. For many, it may seem as if air pollution isn’t a threat to the UK. After all, smoke-spewing furnaces and coal mines have wound down considerably in recent years. 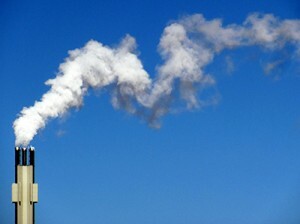 However, just because we can’t physically see air pollution, it doesn’t mean that it isn’t present. In a survey of 1,670 adults, 58% believed that the current levels of air pollution in the UK are either harmful or very harmful to overall health. The issue of air pollution has been felt particularly acutely in the capital. Just one month ago, it was recorded that the air in London was far worse that in the notoriously polluted Beijing for the first time. To better safeguard pupils, schools have been advised to ban playing outdoors in some of the more serious cases, as well as introducing ‘no idling’ zones to prevent drivers leaving their engines running while waiting for children on the school run. This polluted air, present in the UK’s major towns and cities, infiltrates buildings that house vulnerable occupants such as children in schools, unless sufficient care is taken to install ventilation and air quality management systems that are able to control the volume and quality of air brought into the building. Management of Indoor Air Quality (IAQ) is an important issue, not just for health but for performance and behaviour too. Poor IAQ is caused when there is a build-up of pollutants inside a building due to little or no ventilation, or as a result of pollutants being directly brought in through open windows or unfiltered ventilation systems. Pollutants can arise in the school environment from various sources such as furnishings, IT equipment, bio-effluents, or from external pollutants such as nitrogen dioxide and carbon monoxide. In addition, CO₂ levels can become dangerously high just through the concentration of children in a poorly ventilated classroom. Being inside of a school building doesn’t mean that the pupils are protected from poor air quality. It is crucial that the conditions inside are conducive to a healthy and productive environment. If poor air quality is evident in schools, it can have a wide-ranging impact. • Due to high levels of pollutants, the UK has the highest prevalence of asthma in the world. • Poor IAQ can lead to an increase in cardiovascular illnesses. • Lung irritation can occur, symptoms which can be exaggerated in school children as their lungs are not yet fully developed. • Proven correlation between inadequate ventilation in schools and poor pupil performance. A study by the University of Reading demonstrated that the attention span of school children is significantly slower when the level of CO2 in classrooms is high, which could have an adverse effect on pupil attainment. Naturally, the solution would be to invest in a ventilation solution which can combat the problem and provide the optimum indoor air quality (IAQ) for school pupils. However, opening a window, a form of manual natural ventilation, is not recommended. Firstly, this method does not take account of demand and therefore cannot effectively control CO2 levels, and secondly opening a window will let in polluted unfiltered outdoor air. This can make the school environment harmful to pupils and staff. Mechanical Demand-Controlled Ventilation (DCV) systems provide the best solution to these problems in schools. Intelligent controls detect and predict rises in CO2 levels in a room, reacting instantly to draw fresh filtered air in whilst the stale air is extracted in a balanced way to avoid unnecessary draughts. This also avoids wasteful over-ventilation, especially in winter, thus reducing heating bills for the school. It is critical that the quality of air surrounding school buildings is excellent, however the IAQ of schools shouldn’t be ignored. Implementing effective ventilation solutions is vital if the health of our children is to be safeguarded. Breathing in clean air shouldn’t be something which is desirable for school pupils, but as Sadiq Khan correctly said, it should be every child’s right. Originally founded in Belgium in 1962, Jaga Heating Products was established in the UK in 1991 and is one of the country’s leading specialist manufacturers of award-winning, energy-saving, low-water content heating products. Based in Ledbury, Herefordshire, Jaga has always led the way in the design of high-performance heating products. Each year, Jaga produces more than 500,000 metres of wall-mounted and trench heating products featuring their energy-saving Low-H2O technology.